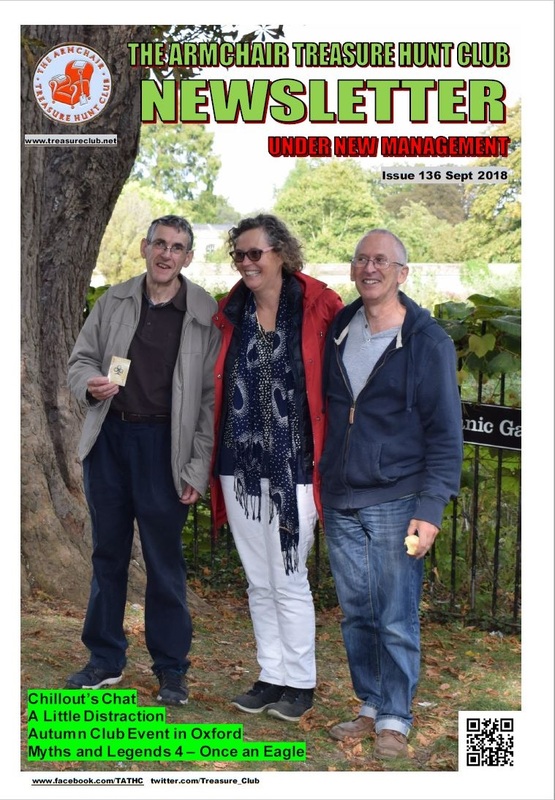 All members of The Armchair Treasure Hunt Club receive four newsletters each year. 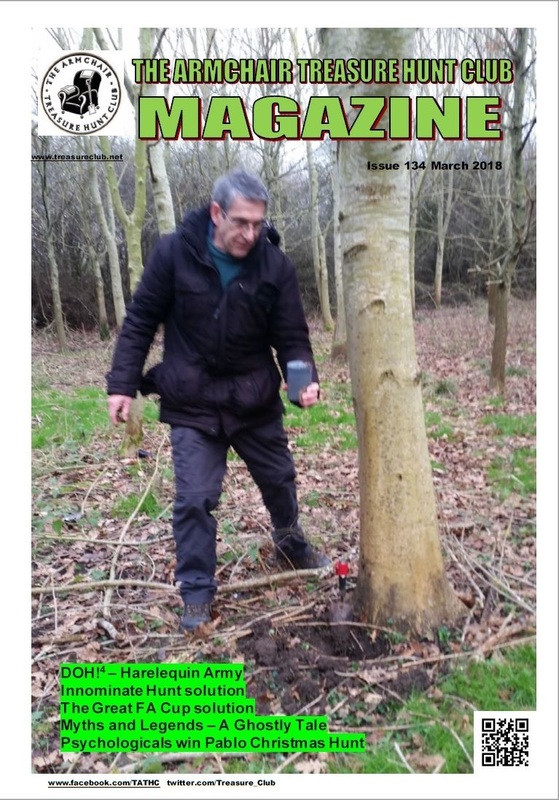 The newsletter is written by our members and covers current club hunts, news on other hunts, features on general topics of interest, letters, prize puzzles, general chat, and more! 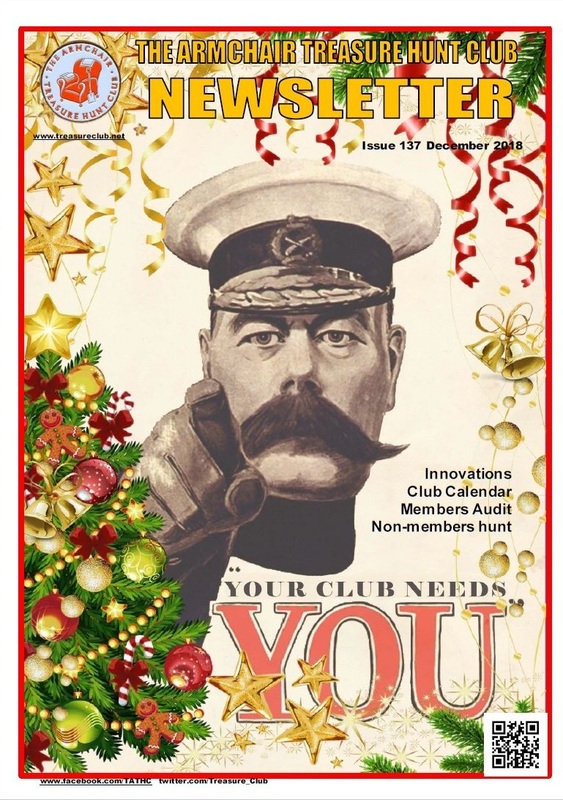 The newsletter is compiled on behalf of the club by Pete It is edited by the Club Co-ordinator and Treasurer, Sandra and published electronically on the Club Bulletin Board by Pete. Cover Photo: Sandra Young retires from the club. TATHC's Secret Agents in Cambridge - our Pablo's Treasure Hunt prize. Members Audit - Are your details correct? If you wish to submit an article or letter for publication, please discuss your submission with the Newsletter editor then email it directly to the Newsletter editor in time for the next issue deadline. When submitting pictures or image, please ensure they do not exceed 300Kb preferably in Jpeg format.